Following up on Mike Buettell’s excellent article he published last year on California YOM plates, I wanted to talk about how to accomplish this in the state of Washington. I wasn’t sure that my state had such a program, but it turns out the RCW 46.18.220 provides for exactly this. The law is intended for the common “Collector Vehicle” plate you see on older cars here, but has an accommodation if you want to run period correct. WARNING: For this to work, your car must have a ’67 title. If you’re running a ’67 body on a ’70s titled pan, this won’t work. The first step is to procure the plate. I was able to find mine by searching eBay for “1967 Washington License”. Beware of ones from the District of Columbia! You’re looking for a white license plate with green letters, and it has “Washington” spelled out on the bottom in all capital letters. 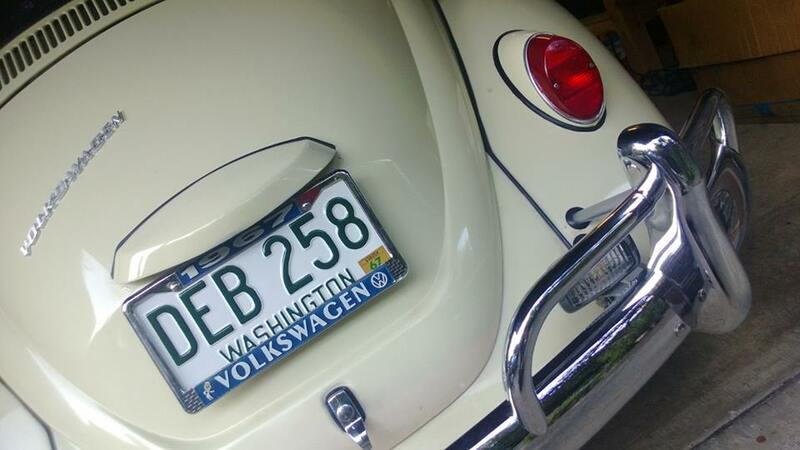 The Washington law doesn’t say that you need a 1967 registration tab on the plate, but I was fortunate to find a plate that did. You also don’t need to get two plates! When you have a collector vehicle status, the law only requires that you run a rear plate. This is a bonus, cause I’ve always hated front plates on cars. Now, you need to collect your documentation. Your title is required (not your registration, your actual title!) as they’re going to re-title your car. It’s basically as if you’re selling it to yourself. You also need the Special License Plate Application filled out with your details. Don’t check any of the “collector plate” boxes at the bottom – they oddly don’t have one for restored plates. The last thing you do when you receive your plate is bring it down to your friendly Department of Licensing office (or one of the sub-agents). I handed them the form, and showed them the plate. They’ll do some validation that you have the correct license plate for the year of the car, they’ll make you sign a few things, and they’ll take $75 from you. 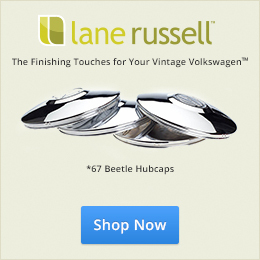 Super easy and painless, and you never have to mail in or give them the plate – you walk back out with it. Go home, hang the plate on your car, and enjoy. In 6 to 8 weeks, you’ll get an updated title in the mail – your vintage license plate number is now listed in the “Equipment Code” of the car rather than the “License Plate” of the car. Lastly, you’ll never have to renew your tabs — it’s a one-shot deal: that $150 you spent on a restored license plate on eBay will pay for itself in the first two years of ownership! Thanks, Eric. I admit that I was quite scared of the process after reading your CA YOM experience, but it was super painless here! If you live in Florida, you can use a YOM plate but take caution. Do not touch up or in any way restore the plate before sending it to the DMV. They will reject it. The law however, does not say that it cannot be restored after they validate its use. It must be in really good shape to even be accepted by the FL DMV. Good info. I went through a ton of headaches even with the CA DMV with my black plates. For some reason, that office did not see them as much. My good pal Timm Eubanks down in So Cal went in with no issues and had his YOM in 6 weeks. Mine was more like 3 months. Sorry I meant Marius ! I’d check eBay. Also, Brian over at Finish Your Plates might have a set. Wait, you can’t drive your car daily with your YOM plates? I did this same thing here in Oregon. Very similar process. Great article! Give Brian a call. I’m sure he might know of a source. That was a great article on the License plate registration. The laws here in Tennessee allow you to register an older car (20 years or older) as an “antique auto”, which I’m sure varies from state to state but most often the laws are probably, very similar. An older car that is registered as an antique auto here in Tennessee limits the use of the car to mostly just Saturday and Sunday driving but also allows you to forgo any of the mandatory state/annual emissions testing and also never expires. However, The GREAT thing that it allows is that if you have a period correct antique license plate – you are allowed to attach the antique plate to your car in place of the “antique auto” plate. The ONLY stipulation (no extra fees, red tape or documentation) is that you must carry your antique auto tag in your car and must present it to a law enforcement officer if asked to do so. Now I’m starting to get a little confused? I’ll let Marius chime in. Cool, thanks Eric. By the way, how are those beautiful twins doing? I always spell Marius’s name wrong! Ha. No confusion now, but I do drive my car everyday! What’s the point in having a nice car, if you can’t enjoy it ? I love driving my car every single day ! So daily driving is pressing your luck in Washington. Well. Here in CA, once you register you’re good to go.